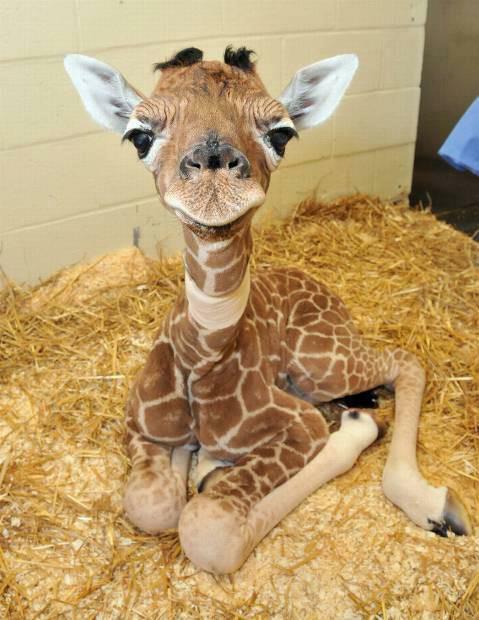 Baby Giraffe. . Wallpaper and background images in the Animals club tagged: animals cute giraffe. This Animals photo might contain reekalf, fawn, japanse herten, sika, cervus nipon, cervus sika, virginia herten, witte staart, whitetail, witte staart herten, whitetail herten, and odocoileus virginianus.